In the modern times, the skill of blogging has become extremely prevalent. A unique blog can fetch you the unmitigated attention that you have always been craving for. Choosing the WordPress as the podium to empower your blog would be extremely justified and effective decision. 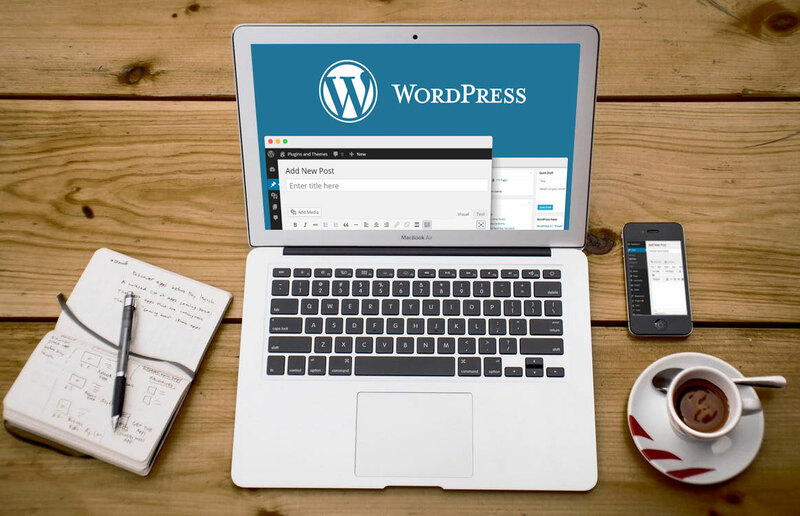 Being an open source Content Management System, the WordPress allows its users to generate potent and dynamic blogs and websites. WordPress, with the use of its back-end components and CMS, customizes, manages and updates a website. But this can prove to be a formidable task to install the CMS and perceive the idea of how it works. If you lack the slightest idea of the CMS’ working procedure, this document would help you with precise guidance for WordPress development. While choosing WordPress as the podium for your site, you have already taken a step ahead to manage your site content in an effective way. When a static site has been built, the usage of WordPress development makes it way easier for you to keep your site updated. The contentpublishing largely depends on your topic and audience. It is somewhat also dependent on the realities of your capability. The unrealistic and over-ambitious publishing schedule is not appreciated and it often tends to burn you out and makes you lose interest sooner. Updating your site regularly does not mean setting a date for publishing your article and writing content on the same. Owing to the publishing of a productive content, you must have a structured schedule. Unless you have some productive ideas, publishing can be a failure. Ideas can be cultivated by your mind in the strangest of moments. Once the ideas have been identified, you need to shape them to form a spark into the post. The written content of your site not only includes the content but also additional assets such as videos, pictures, graphics and more. While writing content you may choose some other Word processing program and then import it to WordPress or write directly into it. But one should be careful about not to import the styling from the word processing program to WordPress which would otherwise add unwanted mark-ups and create a messy formatting of your site. A feature of WordPress development which is worth to be mentioned is the “schedule button”, which manages your publishing schedule. Using this feature, you can specify a date for publishing your post. WordPress keeps your post under store till the specified date and then publicizes it on that date without bugging you. So, you can enjoy your leisure playing your favorite sport while your audience will have the impression of you working away at your desktop when the world is celebrating! Even if your site is chockfull with well-written, engrossing and professional content, it lacks evaluation until being shared with people. The strategy for intensifying traffic to your post most commonly includes SEO but the broadcasting of your post is equally important. You need to get yourself out in the public forum and tell people about the enormity of your site.Using social media can be a great method of sharing your content and allow people to know about it. If you are keen towards establishing a relationship with your audience and want to generate an income from regular posts then engaging your readers with interesting content is quite essential. The subject matter of content must be catered to the readers in such an engrossing way that they not only visit your site repeatedly but also refer it to their friends and colleagues. The social media can prove to be a useful platform to attract the subscribers, but the best-suited way to encourage people to be loyal to your site and fabricate a community of readers is to use public comments. It was not too strenuous in the early days to respond to the comments. You could be receiving a huge number of comments per day if people feel the content to be engaging, which in turn would increase the traffic of your site. Most of the bloggers spend more time in responding to the comments than creating content. But while doing this, one must think whether it is making the best use of their time. On the front page of your blog, WordPress usually exhibits the last ten posts published, which can incessantly decrease the loading speed if the content includes a huge number of images. But, as for WordPress, you can navigate through the settings in order to customize the front page of your blog to display only the summaries. This might decrease the server load when the readers visit your site. Connecting an image from elsewhere on the web directly to your blog is referred to as Hotlink. The bandwidth of your site is likely to be consumed if there is a hotlink of an image to another site and it is hosted by your website. Your website will slow down subsequently if the images hosted on your website are directly linked to other sites. In this process, greater bandwidth of your site will be consumed.In order to avoid such problems, it is recommended to disable image hotlink on your site. It is an arduous task to develop and sustain a successful WP blog effectively. A consistent generation of content is essential to keep readers engaged in your content. In order to manage your WordPress blog effectively, some facts are mandatory to be taken into consideration. However, if one can sustain the hard work, it can be a highly rewarding activity. Managing a blog with utter effectiveness can generate a fair income for professionals, and as well bring satisfaction to those who have taken this up as a hobby. Hope, the above-mentioned points would be helpful to manage a popular and high-quality blog over time.